Endangered Elkhorn Coral, Acropora palmata, now a rare sight on Mexico’s Caribbean coral reefs. In late March, Reef Patrol and SECORE International released a 20-minute documentary, called A novel coral restoration concept – SECORE’s pilot project in Mexico. The film, the work Vanessa Cara-Kerr, presents a breathtaking look at SECORE’s footprint in Mexico, working expressly with the endangered Elkhorn Coral, Acropora palmata. The end goal is simple: support coral restoration through sexual propagation of endangered coral species. The premise appears sound: use the adaptive abilities and advantages found only via sexual reproduction to hopefully gain the upper hand in preserving coral reefs, or more specifically the species which build them, in the battle against the rapid onslaught of climate-change-driven threats that could exterminate these keystone species. 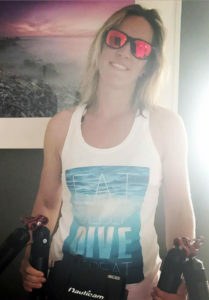 Each year, scientists, researchers, students, and public aquarists descend on hot spots around the globe to participate in SECORE activities that are timed to coincide with the annual spawning of corals; some of these same individuals happen to be past and present CORAL Magazine contributors. This latest SECORE documentary focuses on SECORE’s efforts in Puerto Morelos, Mexico. 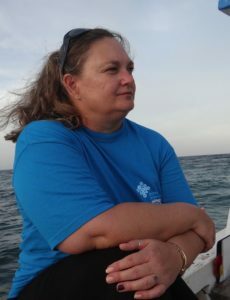 Introducing the documentary, SECORE’s release states, “In 2015, we started this pilot project together with several national and international partners under the lead on-site of Dr. Anastazia Banaszak, head of the Integrative Reef Conservation Research Laboratory, Universidad Nacional Autonoma de Mexico (UNAM). Together with the National Park Authorities (CONANP), the Columbus Zoo and Aquarium, and the Xcaret Eco Park, we test our newly developed techniques to use sexually-derived coral recruits for restoration (‘sexual coral restoration‘), sowing them out on the reef and monitoring the development of the growing coral babies. Collecting the eggs and sperm of Acropora palmata for fertilization and settlement in carefully monitored captive conditions. What will you experience when you set aside the time to watch Reef Patrol’s latest documentary? The film consists of interviews with researchers and coral restoration scientists, interspersed with exceptional footage, ranging from reminding the viewer what a healthy Caribbean reef might look like, to mind-numbing macro videography of coral larvae that will leave the viewer wondering whether it’s CGI or actually real (and since it’s real, how the heck was that even accomplished?)! Perhaps most importantly, this documentary amply explains the SECORE premise and furnishes some level of hope that there is international support, and a concerted effort, to not let our planet’s beloved (and highly critical) coral reefs silently slip into the night and pass from existence.